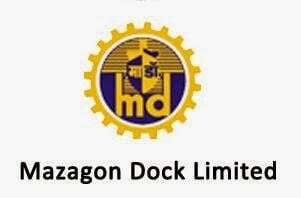 Mazagon Dock Shipbuilders IPO is filed with SEBI on April 2nd 2018. Lets read the details about Mazagon Deck Shipbuilders IPO Review & its important facts like IPO Size, IPO release date, IPO object, IPO price band, Grey market price, IPO allotment status, IPO subscription, Company’s background etc. Mazagon Dock Shipbuilders Limited, aptly called “Ship Builder to the Nation”, is the India’s one of the leading Defence Public Sector Undertaking Shipyard under the Ministry of Defence. Main activities are construction of state-of-the-art warships and submarines with facilities situated at Mumbai and Nhava (under development). As Mazagon Dock Shipbuilders is a PSU, it can be said that the Government of India, through the misnitry of Defence, will be the selling shareholder. The total number of equity shares available under the IPO to the general public is 22,410,000. Apart from this, certain shares would also be a part of the IPO but would be reserved for the eligible employees of the company. The lead managers for Mazagon Dock Shipbuilders IPO are Yes Securities, Axis Capital, Edelweiss Financial, IDFC Bank and JM Financial. The Registrar to the Offer is Alankit Assignments Limited. The details regarding the date of opening for Mazagon Ship Builders IPO is awaited and the same shall be released upon finalization of prospectus and approval of SEBI. The details would be accordingly updated herein. These details would be updated upon release of the IPO. The analysis of allotment status of the IPO subscription would be undertaken post releasing of the IPO and accordingly would be updated herein. The price band and related details of Mazagon Dock Shipbuilders would be updated post release of the IPO. The Mazagon Dock Shipbuilders IPO consists of 22,410,000 equity shares to be offered to the public at large. Apart from this, certain shares would also be reserved for the employees of Mazagon Dock Shipbuilders. Though the number of shares reserved for employees are not disclosed as yet, it has been mentioned that the reserved shares would not exceed 5% of the post-offer paid-up equity share capital. Also, the total issue i.e. the IPO to general public and the shares for employees as an aggregate would not exceed 10% of post-offer paid-up equity share capital. While the IPO size is provided and disclosed at this stage, the total fund expected from IPO remains undisclosed and un-discussed. 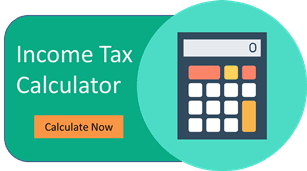 Though in this article, the factors affecting the price have been discussed in subsequent paras – this detail along with the number pf shares would be helpful in understanding the size of IPO. This Company is a wholly-owned GoI company, is a defence public sector undertaking shipyard under the Department of Defence Production, Ministry of Defence (MoD). Mazagon Dock Shipbuilders Limited has a maximum shipbuilding and submarine capacity of 40,000 DWT and is engaged in the construction and repair of warships and submarines for the MoD for use by the Indian Navy and other vessels for commercial clients. The ship building company was conferred with the ‘Mini-ratna-I’ status in 2006, by the Department of Public Enterprises. Mazagon Dock Shipbuilders Limited is India’s only shipyard to have built destroyers and conventional submarines for the Indian Navy. They are also one of the initial shipyards to manufacture Corvettes (Veer and Khukri Class) in India. The business divisions in which Mazagon Dock Shipbuilders Limited operates are (i) shipbuilding and (ii) submarine and heavy engineering. The revenue figures and the profit figures appear to be quite stagnant. But since the PSU is very large in size & has continued to make massive PAT, we recommend to invest with this IPO for long term. This company will give massive return in the later half of its term. Since Mazagon Dock Shipbuilders is a PSU, the promoter would be President of India, acting through MoD. Also, on the same account, the details relating to the interest of promoters in the Company are also not disclosed. The objects of the Offer are to (i) to carry out the disinvestment of equity Shares by the Selling Shareholder constituting and (ii) achieve the benefits of listing the Equity Shares on the Stock Exchanges. Company will not receive any proceeds from the Offer and all such proceeds will go to the Selling Shareholder. The Offer Price of the IPO will be determined by Mazagon Dock Shipbuilders in consultation with the Selling Shareholder and the lead managers. This would be determined on the basis of evaluation of market demand for the Equity Shares determined through the Book Building Process and on the basis of quantitative and qualitative factors. Experienced board and senior management team and skillfully trained workforce. Comparison with listed industry peer review – In terms of EPS, it secures second position among the peers. Just like any other IPO, even for Mazagon Dock Shipbuilders, the grey market would be open almost a fortnight before the IPO release date and the kostak rates would also be available in the market.